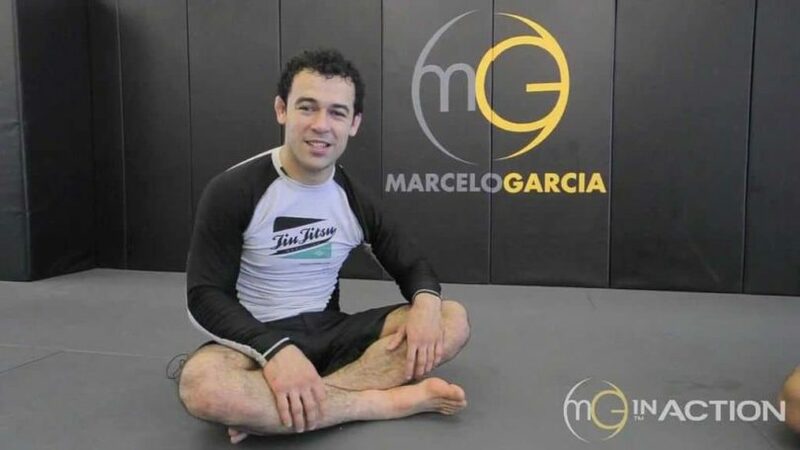 Ryan Hall and Marcelo Garcia – Jiu Jitsu Discussion on MG in Action (I wrote out the key points to this post-training discussion since the audio quality is terrible). Attack in transition; achieve the desired grips (e.g., underhook) between position, before you need it. 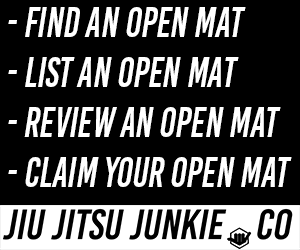 This prevents having to struggle for it when your opponent is static and can focus on preventing you from getting your grips or submission. Sometimes the worst mistakes are the ones you make during transitions. They’re hard to see and give your opponent desired grips or positions. It follows that proper technique during transitions including achieving desired grips should be practiced. Wait to initiate transition until you feel you can achieve desired grips/position. If you feel you cannot, return to a safe position and wait for an opening (or create an opening) to initiate. Example: Marcelo recounts his ADCC match with Braulio Estima – Braulio attacked a footlock forcing Marcelo to defend. Braulio used the opening Marcelo created to achieve a sweep, and during the sweep transition established a good guard passing position. Ryan asks about the guillotine that Leo Vieira caught him with at ADCC 2009. Marcelo reminds Ryan that he needs to defeat the attack before it’s completed (he’s not going to defend once the guillotine is locked over the shoulder). Marcelo says to drop the shoulder into his chest before the arm comes over his shoulder, switch hips and drive into him to close the distance (example of transitional defense). Talking about foot lock defense (always be conscious of your feet), talking about baiting moves you know guys will use to take the fight in a predictable direction. Marcelo cautions against this, as your opponents (or you) will know the moves they practice a lot inside and out, and will probably be ready to deal with your defense. He, therefore, cautions against baiting. Back to footlocks, Marcelo says that he doesn’t want to get stuck in Ryan’s 50/50, and attempts to prevent the position during Ryan’s transitions. Ryan asks about day-to-day training when you’re the best guy or one of the best in your gym. Marcelo says he remembers every tough match, every tough opponent and imagines his students have that base. For example, he imagines that he’s rolling with a guy who can do to him what Braulio did – put yourself in the position and train doing the correct technique/counter/grip. Even if your training partner is less talented, don’t let yourself get away with making the small mistakes we all do with lower ranks. Always use the best technique, building the proper muscle memory. Marcelo says that sometimes he will let someone get a choke or good position to practice escaping, but says it’s not his first option. Marcelo’s approach to exotic positions (e.g., Ryan Hall’s inverted guard, 50/50) – improvise from the principals you have previously learned. Use your previous experience with the position or similar positions to consciously apply good jiu-jitsu principals. For example, Marcelo says that even though he doesn’t work with people as good at the 50/50 as Ryan every day, he knows not to let his feet become exposed under Ryan’s arms, and to work out of the position without exposing himself to a submission. He then uses that experience to aid him against other people using the 50/50 or related positions. Ryan states that Marcelo’s technical refinement and ability to think ahead are equally important in his mastery of jiu-jitsu. Ryan says that even if he (Ryan) never learned to think ahead, rolling with someone as good as Marcelo would naturally, subconsciously tighten his game and refine his technique, which he says is easier than learning to think ahead. Furthermore, thinking ahead is the process that develops from extreme levels of technical refinement that occurs on a subconscious level. Hall states that because Jiu Jitsu players like Marcelo have achieved such a high level of technical ability it allows them to perform the technique without direct thought, freeing their analytic ability (“working memory” in psychology) to work on pattern recognition, controlling distance and transition, and thinking ahead. They get into the specifics of transitioning to north/south from inverted guard. Marcelo and Ryan agree that the method Marcelo used actually exposed his arm briefly, but since the transition was made before Ryan was in position to take advantage of it, Marcelo was able to remove his arm and complete the transition ahead of Ryan’s ability to capitalize. The transition Marcelo uses: Ryan was inverted with one leg between Marcelo’s legs, one leg outside. Marcelo used one arm between Ryan’s legs to block his hip, and then sprawled out on his leg that was now trapped between Marcelo’s legs. He then swam his head inside and passed Ryan’s legs, achieving the N/S position. However, Marcelo says that if he tried that when both of Ryan’s legs were outside, Ryan could swim his leg over the arm, and his arm would immediately be in danger. Marcelo tested this by tentatively putting his arm close to being in danger to test what Ryan would do, never allowing Ryan to fully achieve his desired position. Ryan confirms that he felt Marcelo always making appropriate replacements when he felt he was in danger (back to fighting to initial steps and grips). To further this line of thought, Ryan recalls his match with Leo Vieira at ADCC – Leo controlled distance and grip establishment so well that Ryan never was in position to initiate his positions/attacks from the technically sound base. Therefore, he felt that his attacks would put him out of position/distance, upon which Leo would capitalize. Question to Marcelo about dealing with Ryan’s flexibility; Marcelo says that even though he is not flexible, he has to recognize the exact extent and limits of Ryan’s flexibility, and adjust for them. Further, rolling with many different partners of different body types (strength, speed, weight, flexibility, etc.) will allow you to adjust your game to the variables that your opponent possesses.